Yeah it was me being hopeful the “netbios”name barrier was broken in 2016 but noooo.. Tried deploying Identity Manager with the name: vDrone-IdentityManager. 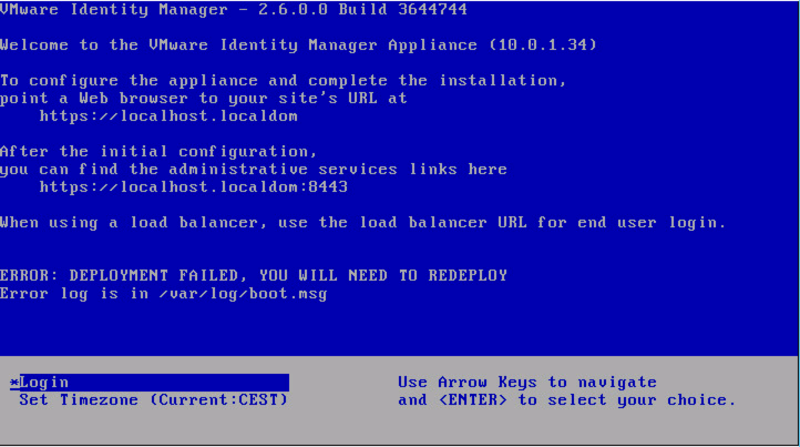 Well vSphere accepts but when deployed you get an instant deployment failure once booted. Even with every other ip setting on DHCP. So there you have it, redeploy with a smaller name and you are good to go.. While your busy not reading this like a boss and try to run the setup you will be greeted with the message: Invalid organization name. 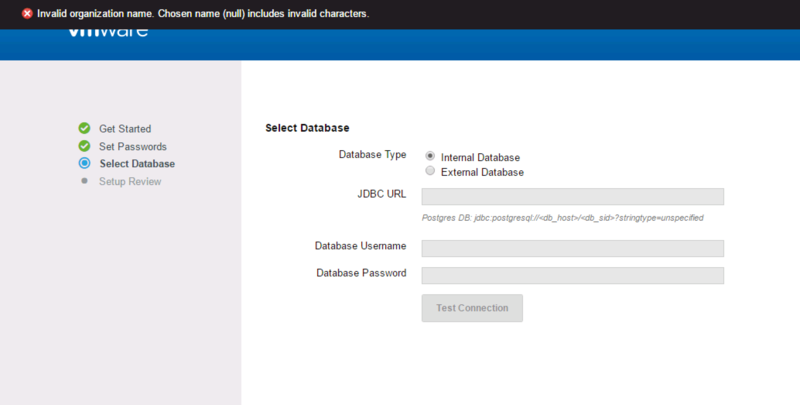 Choses name (null) includes invalid characters. at the select database part. Yes a really good place to get an error. To resolve this issue during configuration of the VMware Identity Manager appliance, ensure that it is being accessed via the Fully Qualified Domain Name(FQDN) and not the IP address of the appliance.